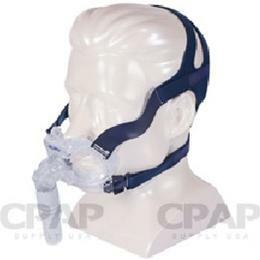 Full face mask that seals individually at the mouth and nose. With a fit range of over 90%of users, the Mirage Liberty is ideal for patients seeking a comfortable alternative to conventional full face masks. Mirage Liberty delivers all-round stability and comfort with supportive, crown-shaped headgear that keeps the mask securely in place. With fewer mask parts than other full face masks, Mirage Liberty is easy to handle, assemble and disassemble for cleaning. It is easy to put on and take off.